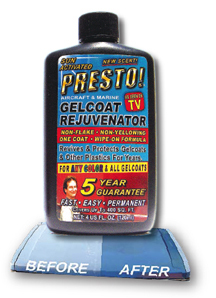 PBR™ is the heavy duty, professional version of our Gelcoat Rejuvenator. 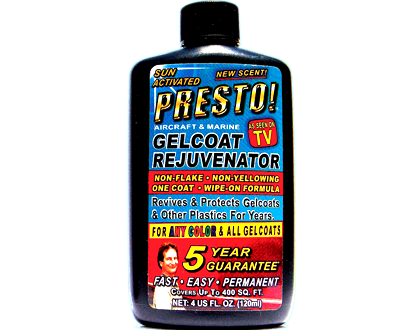 Use this product on cars, boats, RV’s and 99% of all other outdoor plastics - except latex. 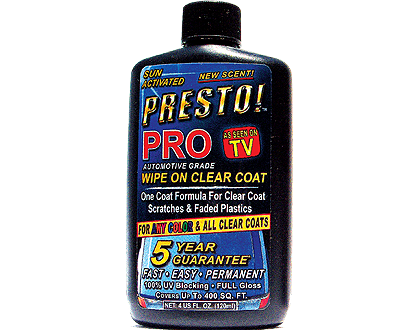 Because PRO PBR™ Penetrates surfaces so effectively, as little as one coat can restore the showroom-like appearance of vehicles for years - without flaking or yellowing. Technical literature and detailed headlight reconditioning instructions available on request.